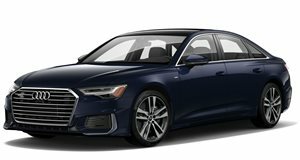 ABT knew that it was important to jump on the all-new A6 before Audi has a chance to bring out a new RS6. This way, anybody who wants to go faster in their A6 has to go the tuner route. This is actually easier than you might think, since the engine in the A6 is the only part that isn&apos;t new. ABT can get 410 horsepower out of the 3.0-liter TFSI under the A6&apos;s hood. They will also fit a body kit and new wheels, all of which are aggressive but understated.